Dr. Sheffield loves spending time with his wife and three young children. He enjoys basketball, cycling, serving in his church, and baking – especially birthday cakes for his family! excellent first appointment. Doctor hopes to add equipment that I would have to go out of town to access for a throat test. I left with printouts on medications being considered and a YouTube link for learning about what might be my diagnosis. it takes too long to get in to see Dr Sheffield even when you have a serious problem. otherwise he seem pretty good. Dr. Sheffield is an excellent addition to the QMG team. Beyond his skills in the clinic, his community involvement is a wonderful and welcome addition to Quincy. The community can benefit greatly from more providers like him. Receptionists are excellent. They are knowledgeable and efficient as well as friendly and welcoming. I enjoy coming to Dr. Sheffield's office and being welcomed and taken care of with such impeccable service. 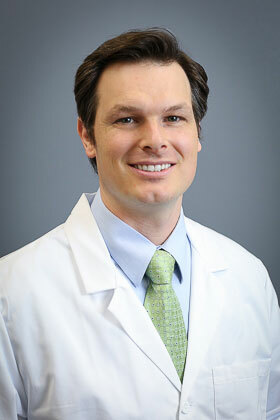 Dr. Sheffield has an excellent bedside manner both in office and surgery. I felt completely at ease about my first surgery because I was in such knowledgeable and caring hands with both him and the surgery team. I had a smooth experience, and would recommend Dr. Sheffield and staff to anyone seeking seamless and professional care for their ENT needs. Dr. Sheffield was great! He listened carefully and thoroughly explained things. You can tell he really cares!